Ashish oversees the product strategy and business development at Sokrati. He brings over 8 years of digital marketing and product development experience to Sokrati. He was earlier part of the paid search marketing team at Amazon.com where he managed channels like comparison shopping, search and affiliate networks. 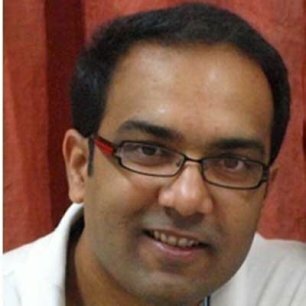 Ashish was also involved in product strategy, P&L for traffic acquired for various Amazon product categories, and partnership / negotiations with top affiliates like Google, Yahoo, Shopping.com. Prior to his Amazon stint, he worked at the marketing and acquisitions department at Capital One, overseeing SuperPrime credit card portfolio. He earned a Masters from Carnegie Mellon University (batch of 2003) and a Bachelors from University of Mumbai, India. Sokrati is India’s leading digital marketing and analytics company and Google’s largest preferred partner in India. Led by ex-Amazonians and ex-Googlers, Sokrati has built proprietary algorithms to manage performance driven marketing spends on paid search, social and display networks. Today, Sokrati drives over 12 million monthly visits to advertisers by managing over 100 million active ad entities on a real-time basis. Several top brands in e-commerce, travel and finance sectors across India and USA enjoy higher conversion rates with Sokrati’s digital marketing and analytics platform. Sokrati has been named as one of the ‘Top 20 Hottest Technology Startups’ in India by Techcircle. Based in Pune and already an 80 member team, we are aggressively ramping up operations.